Continuing with the theme of things overheard is an interesting picture taken the other day. Rodian, from the Livejournal site Overheard in Melbourne took this lovely photo on the 59 tram. Discretion is obviously not on this guy’s mind. One of today’s most read articles on The Age today is one about how tram conductors are better than tram inspectors. Besides the fact that the author refers erroneously to Tram 15 (non-existent since 1995), she makes a good point. Tram conductors are a cheaper and better way of 1) providing some security in the tram, 2) making sure that everyone rides with a ticket, and 3) having someone who you can ask questions to (eg. tourists). Well, we will never go back to having tram conductors but here’s a idea. Pub Tram. Helsinki, Finland is home to the pub tram called the Spårakoff . Yes, we do have the restaurant trams which are pretty cool but unless you are willing to part with lots of money for mediocre food, then we need a pub tram. OK, it won’t solve any of the tram problems, in fact it probably will cause more, but imagine those hot summer afternoons catching a tram home from work. Imagine having a nice cold beer on the ride home. Forget Myki, bring on Spårakoff . “Not everyone has warm feelings for the trams – for example. motorists may view them with impatience,” explains the introduction. While some Melburnians will agree with that statement, most will appreciate the beauty and charm of our iconic box on wheels. The 80-page paperback is largely a pictorial essay but also has a couple of history lessons. There is even a chapter called “What tram is that?” – so if you have ever wanted to know how the control panels of a W-series and a C-class (we’re entering serious tram enthuasiasts kingdom here), this is the book for you. More than 40 photographers and artists have contributed tram-related pics to the book, and it’s fair to say that if you are a fan of the City Circle, you’ll be in rusty tram track heaven. 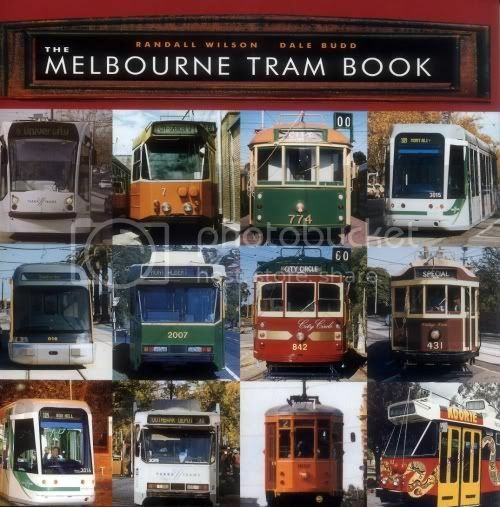 The Melbourne Tram Book is out now.